In this chapter, the authors distinguish between blended and online learning settings, discuss a variety of types of learner assessment, describe contemporary trends, challenges, and recommendations for the effective assessment of learning in blended and online courses, and offer several recommendations for future research. 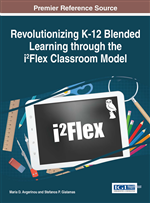 The content targets teachers, instructional designers, administrators, and program managers of K-12 blended and online learning settings. Suggestions are offered for using web-based communication tools for feedback and assessment in blended settings. The authors conclude with a discussion of implementation topics associated with assessment in these learning environments that deserve additional attention and consideration. The evolution of distance learning to include K-12 students has included an expansion of the vocabulary used to describe these learning environments. Virtual schools, cyber schools, and online schools are all terms found in the literature associated with access to educational services offered via computer-mediated, web-based alternatives. These terms are typically used to identify learning environments that are fully delivered through synchronous and/or asynchronous web-based systems. Many contemporary, K-12 distance learning environments are described as blended. Staker and Horn (2014) make their case for using blended learning environments as the foundation strategy to improve schools. Whether schools and teachers are looking to flip the classroom, offer flexible course options, supplement study with extended offerings online from other schools, or enhance traditional classroom instruction, blended learning is found in both rural and urban school settings. Murphy, Snow, Mislevy, Gallagher, Krumm, and Wei (2014) describe blended learning as an emerging field with many different conceptualizations. For the purposes of this chapter, the authors will use the Staker and Horn (2012) component definition of blended learning. Teaching and learning occur within a formal education program. Students learn at least in part through online delivery of content and instruction. Students learn at least in part through instruction that is delivered away from their home in a face-to-face setting with a teacher present. Students have some level of control over time, place, path, and/or pace of the instruction. The assessment of student learning in traditional settings has challenged even the most experienced, master teachers. Ambrose, Bridges, DiPietro, Lovett, and Norman (2010) provide a reminder that when the objectives, assessments, and instructional strategies of a course are aligned, students build positive expectancies for their learning and their success. Figure 1 is a cartoon graphic and quote that has been widely shared in social media to illustrate the importance of valid learner assessments that are aligned with instructional goals and targeted learner outcomes.